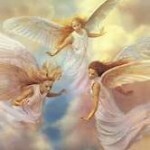 Those of you who are drawn to this message are already well aware that you are the creators of your reality. So why then is their still lack, disease, suffering and heartache? To this we reply, because though you have become consciously aware that you are the creators of your reality, most often humans find the absence of what they want to be their dominant focus. When you are focused upon lack while you yearn for abundance, you can only attract lack. We often say the Universe doesn’t respond to your wishes, dreams or greatest desires anymore so than a mirror does not show you what you wish to look like. A mirror can only reflect what you are right now and so it is with the Universe; it responds to one thing and that is your focus which in turn dictates your vibration. We often use the analogy of your television because you understand that you are not mandated to remain on any channel that you do not prefer. You do not doubt the existence of the many other channels available simply because you are not watching them. You know that as soon as you pick up the remote and tune to a new channel, you will experience a new program. And so it is with your thoughts. You are never mandated to stay tuned to one thought any longer than you choose. You know you are always able to choose new thoughts and when you do, you naturally change the “channel” of your vibration. Often times, we are asked “what beliefs do I have that are blocking abundance?” Our reply is always the same. It is the constant focus, and awareness of lack that blocks abundance. We will tell you this, it does you no good to dig up any limiting beliefs, even if your intention is to weed them out; as everything in your Universe responds to the universal law of expansion. What you focus on, will always expand. So when you seek to find a problem, often times you are frustrated as it only magnifies the belief. You cannot remove a belief by focusing upon it. You can only shut its power source off; by removing your focus. By removing your focus from the problem and focusing all of your attention upon what is going right, what you appreciate, what you enjoy, what brings you peace, you remove the power that has given it momentum. We offer you this simple analogy. If you were to walk into a room, with the ceiling fan on high, and flip the switch to turn it off, would the fan stop rotating? Yes, of course, because you shut the power source off providing the momentum. But the fan would not instantaneously stop rotating the very instant you flipped the switch; it would slowly stop rotating until it had no more momentum left. And so it is with your thoughts. Just because you stop focusing on the negative experiences in your life does not mean there will be instantaneous change in your physical reality. The momentum needs a few revolutions to come to a stop. We use this analogy to show you that, just because lack still manifests for a little while even though you have successfully shifted your thoughts to a new, more positive “channel” doesn’t mean it doesn’t work, or that you are doing something wrong. It just takes a little bit of time for the momentum to stop. 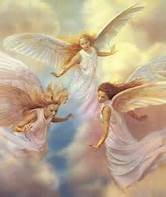 You are more than welcome to browse the Angelic Guides website for all the materials generously posted for free. For more advanced practical knowledge and/or personal guidance please check our shop/store for more guidance.